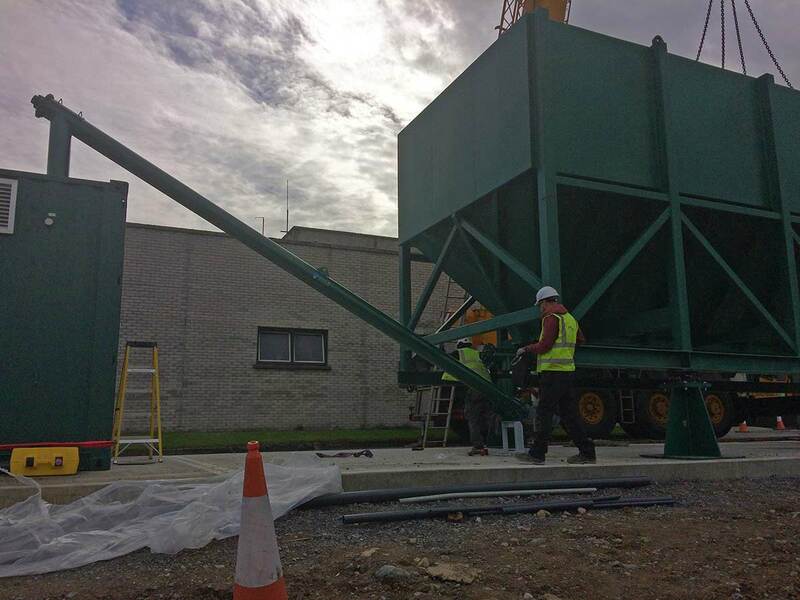 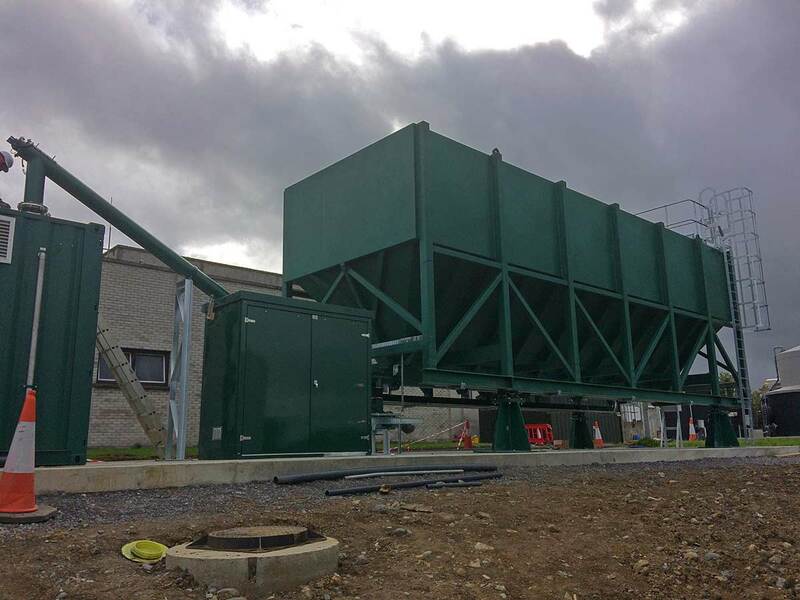 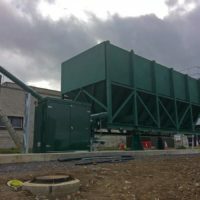 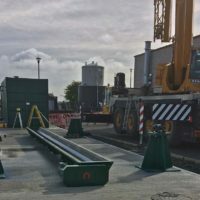 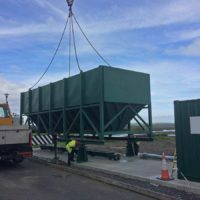 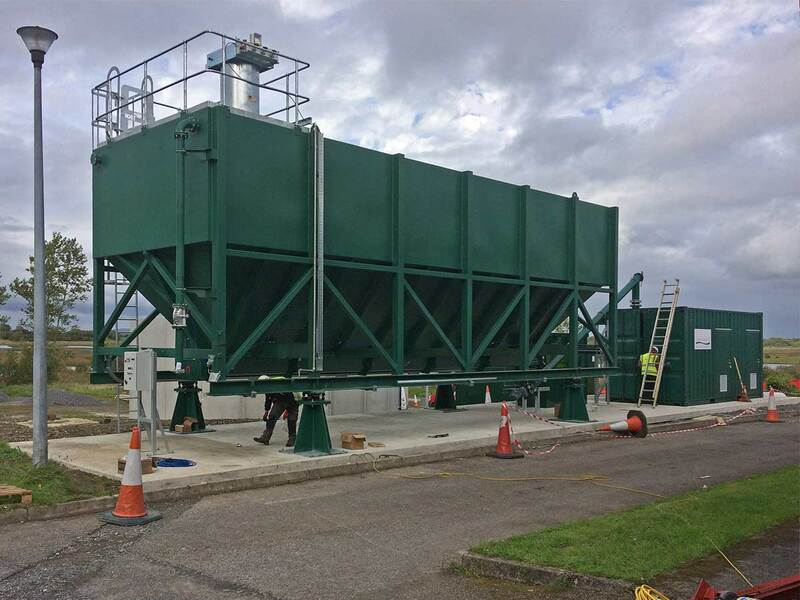 Spirotech York has just completed the installation of a horizontal powder activated carbon (PAC) silo for a water treatment site in Ireland. 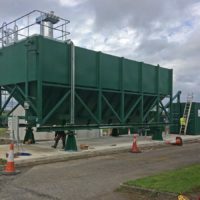 The PAC system was installed within three site days by Spirotech’s experienced team under the supervision of Installations Manager Jonathan Burrows, who ensured that all details were taken care of prior to site mobilisation, allowing work to commence without delay. 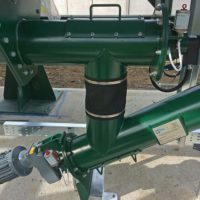 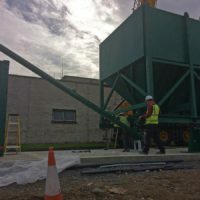 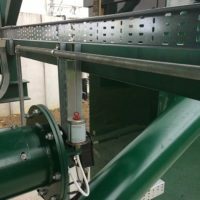 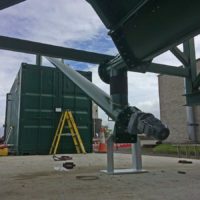 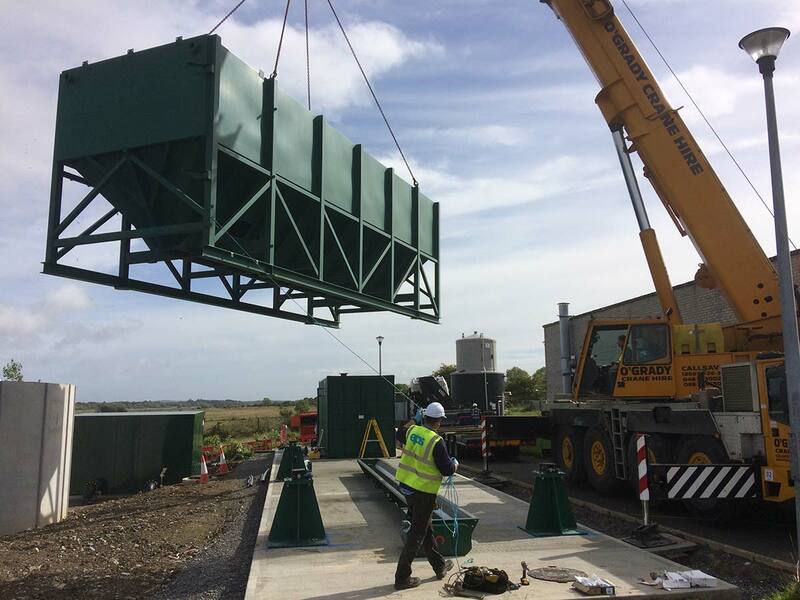 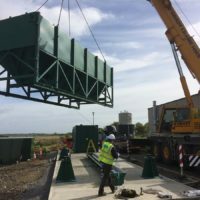 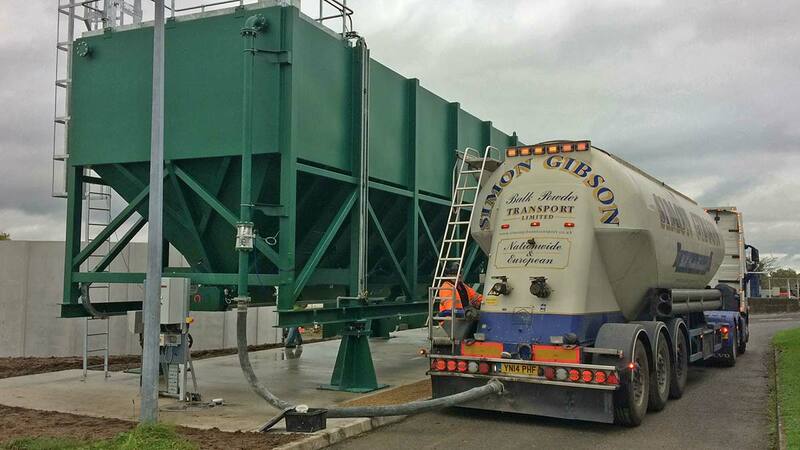 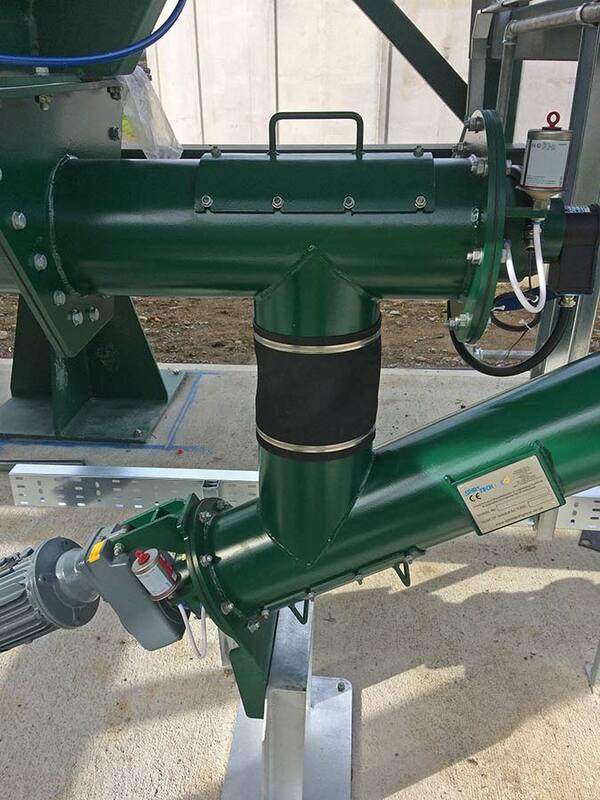 The 80m3 absolute capacity silo, designed and built at Spirotech’s 40,000 sq ft facility in Cambridgeshire, was installed with a full length outlet feed screw at 10,300mm in length, feeding PAC at 1000kg an hour, while a secondary inclined screw feed fed onto the customer’s Eductor unit. 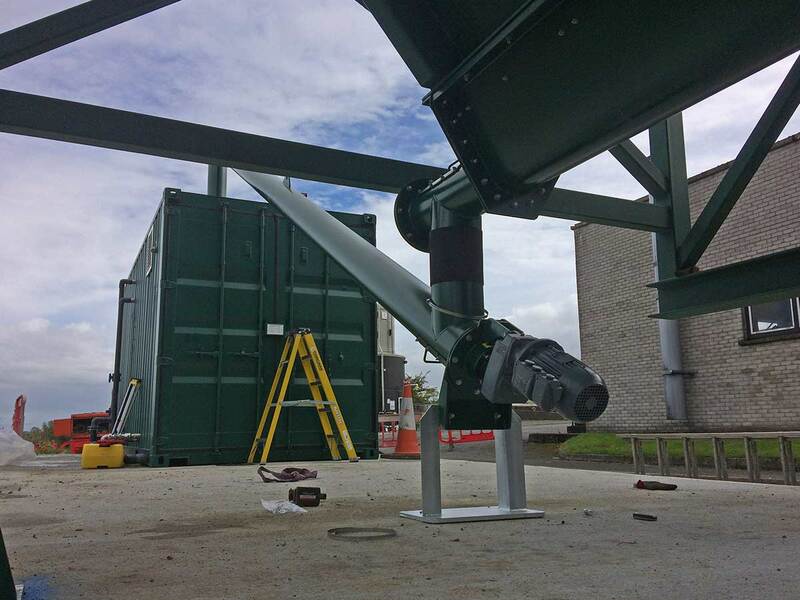 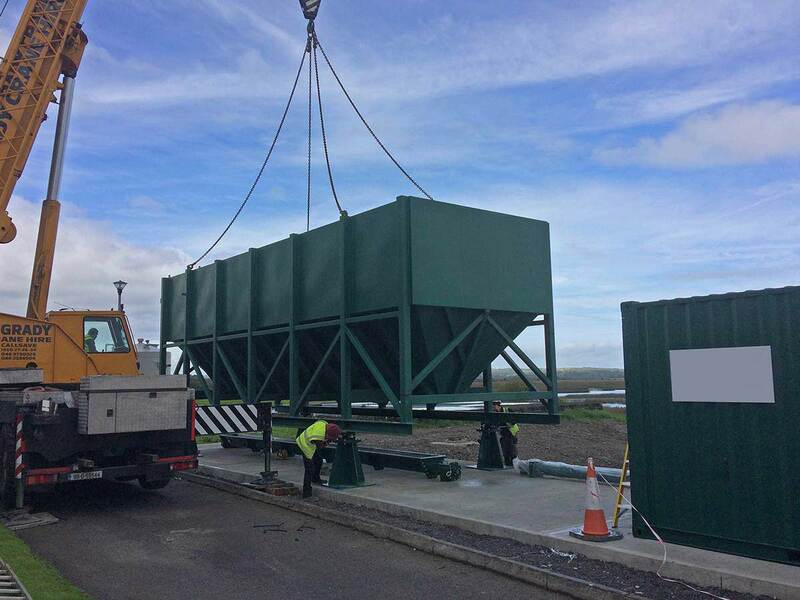 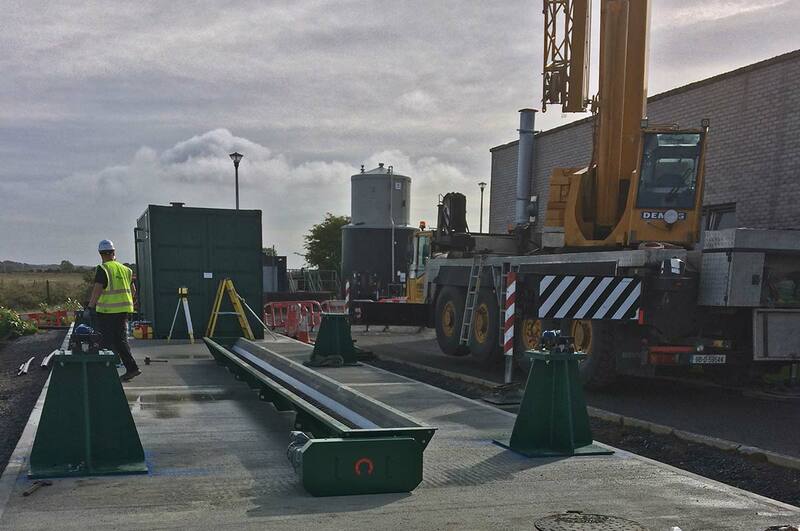 As with our vertical silos the horizontal PAC silo was supplied fitted onto loadcells for high level indication. 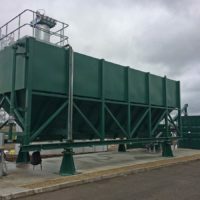 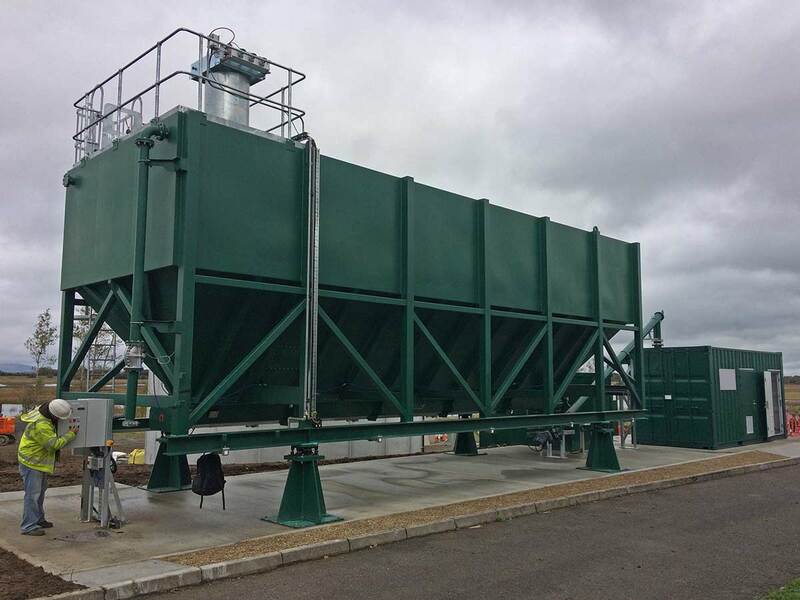 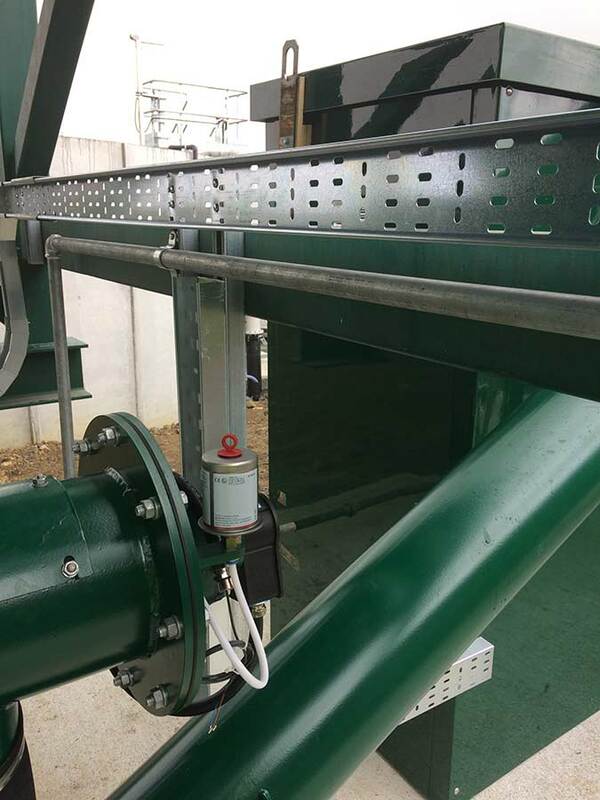 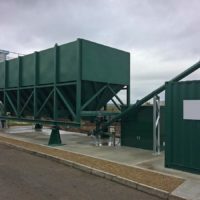 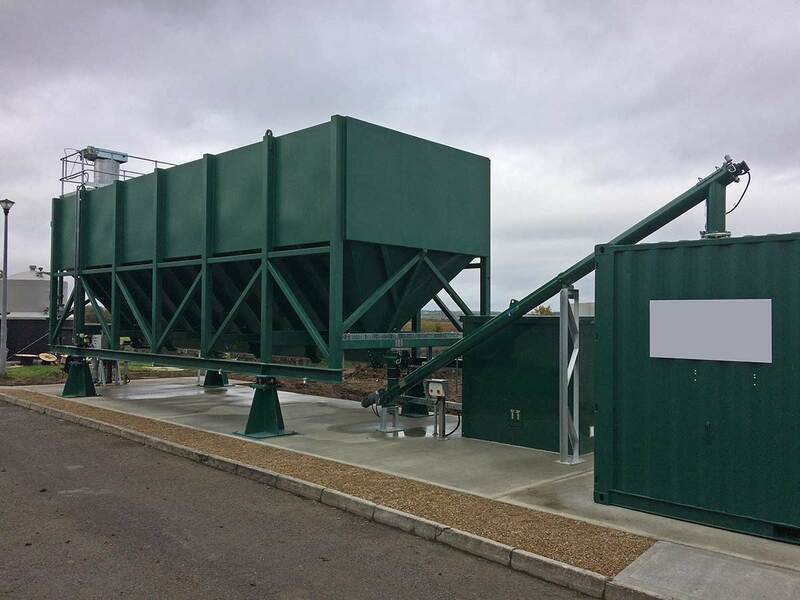 The silo, installed with a dedicated compressor and control panel for tanker filling, is fitted with a reverse jet filter and pressure relief valve with a separate high pressure switch pressure relief valve.